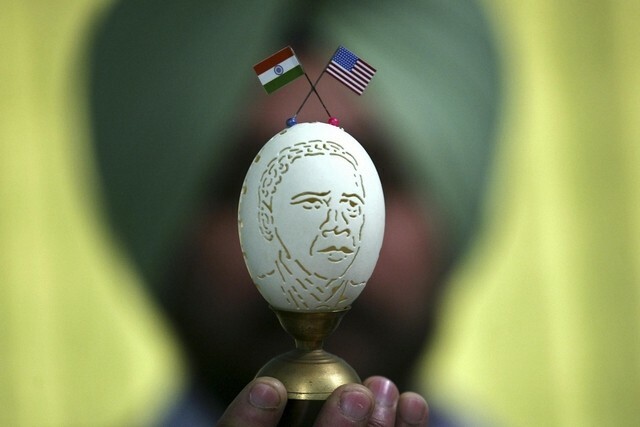 Indian artist Harwinder Singh Gill shows off his creation, an image of US president Barack Obama carved on a duck’s egg shell with the national flags of India and the United States, on January 24, 2015. Mr Obama is due to arrive in India on January 25, 2015. All nations have an inflated view of themselves and their place in the world. The Times of London famously carried a front-page headline over a century ago that read: “Fog in Channel. Europe cut off.” The reality, of course, was that Britain itself was cut off from the much bigger continent of Europe. Now, I’ve heard this before . . . but this time I want to comment. How can the United States, barely 200 years old, possibly be the world’s oldest anything? It certainly isn’t the world’s oldest democracy. I googled this, asking where the idea comes from. The answer, it seems, is the politicians. In recent years, they have been claiming this is the case, when it isn’t. 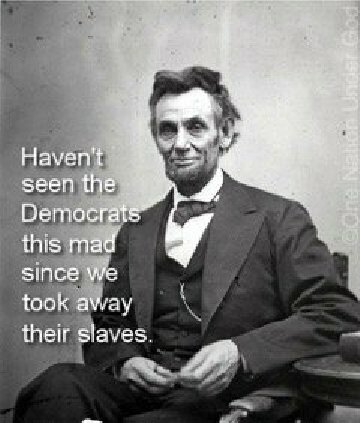 Ignorance of history never stopped anybody from attaining office. For the record, one of the first things the original colonists did when they landed in Jamestown, was hold an election. Elections were regularly held in the colonial period. The turnout averaged 90%. On this basis alone, you could say that colonial America was more democratic than what we have now, when participation is usually less than 50%. When the colonists held that first election, they were not inventing democracy. Their country of origin, Great Britain, already had a democratic system in place. Not since 1215 had English kings held absolute power. For centuries after that date, parliament was gradually becoming more powerful at the expense of the crown. The first parliament was summoned in 1264. Part of the problem is that “democracy” can mean different things in different countries. The North Koreans call themselves “The Democratic Peoples Republic” of Korea but they are neither democratic nor a republic. When I googled the word “democracy,” this is the definition it came up with. Democracy is “a system of government by the whole population or all the eligible members of a state, typically through elected representatives.” “All the eligible members of a state” does not necessarily mean that every person has the vote. Today, in the year 2015, we in the West think of a democracy as a country where every adult has the vote. But this has not always been the case. It wasn’t in ancient Greece, the birthplace of democracy, where women and slaves were not allowed to vote. A universal franchise, where everyone has the vote, is a fairly recent thing. It did not exist in the United States until at least 1964 when the Voting Rights Act guaranteed the right of all adults to vote. Even then, there were some who missed out until more recently. In England, women got the vote in 1918, but they had to be 30, whereas men could vote at 21. Ten years later, the law was changed to make women fully equal with men. Forty years ago, we lived in Rhodesia, which had a qualified franchise, similar to what the United States had in its infancy. Actually, Rhodesia was more generous as women had the vote equally with men, something America didn’t have until 1920. Rhodesia had five qualifications for voting. Diane and I did not meet all five, whereas many Africans we knew did. Once everybody got the vote, a dictatorship came to power and has remained there for 35 years. Rhodesia was far more democratic than its successor state. Anyway, forget England and America. Iceland, the Faroe Islands, and the Isle of Man all have a parliamentary system that goes back to the ninth or tenth centuries. There is no basis for claiming the US is the world’s oldest democracy. But what would you expect from a bunch of lawyers in Congress? After all, they are wrong on most things! Race is America’s Achilles heel. It’s also the country’s biggest blind spot. Both have been evident in Ferguson, Missouri, following the shooting death of an 18-year-old African-American male by a white policeman, in August. The decision by a Grand Jury not to send the policeman to trial led to serious rioting last night, which has continued into a second night. Racial tension goes back to the very beginning of the nation’s modern history and not just between black and white. The first British settlement on the shores of North America was at Jamestown, Virginia, in 1607. Twelve years later, the first African slaves arrived and continued arriving for almost two centuries. Later in the century, the first major conflict in American history took place. King Philip’s War lasted three years (1675-78) and was, proportionately, the worst conflict the country has ever experienced, surpassing the Revolutionary War of 1775-81 (the second worst) and the North-South conflict (1861-65). All three were civil wars. The first war resulted in the deaths of 10% of the population of the fledgling colonies. It was a war between the white settlers and Native Americans. Over the next two centuries there would be a great deal of further conflict between whites and Native Americans. The country would also see more conflict between African-Americans and whites. Discrimination against non-whites was a root cause of the violence. In the 1960’s a new approach was favored. The Civil Rights movement addressed discrimination and efforts were put in place to make some fundamental changes. The 1964 Civil Rights Act banned all forms of discrimination. One year later, the Voting Rights Act made it much easier for southern blacks to vote, ending decades of discrimination. Ironically, race riots erupted in the Watts area of Los Angeles the following day. One month later, President Lyndon Johnson issued an executive order that required government contractors to take Affirmative Action, granting favor to minorities in employment. Riots were to continue throughout the decade, emphasizing the bad state of race relations. Change was clearly necessary. However, what’s happened in Ferguson shows that diversity is not working as promised. Not just Ferguson, of course. America’s inner cities have experienced ethnic conflict for decades. New immigrant groups have battled African-Americans and other new immigrant groups in never-ending gang warfare. This is where the “blind spot” comes in. Americans like to think of themselves as a “melting pot,” a term that has been in common usage since 1908. It’s a reference to how different ethnic groups have been assimilated and become one. However, the term was used to describe the various European ethnic groups that migrated to the country prior to the twentieth century. It is questionable that the melting pot concept is still working. Some would say it never included African-Americans. America is such a vast country that it’s easy for whites to escape big cities and move to isolated dormitory towns and suburbs, where they will rarely come into contact with other ethnic groups. So it is possible for people to believe that race relations are harmonious when others feel very differently. Ferguson is a classic example of this. It’s not just white policemen shooting young black males. There are also frequent incidents of black males randomly killing whites. These are given far less attention by the liberal media. But both show continuing racial tension and conflict. The United States is not the only country with racial problems. Ethnic conflict between tribes is a daily occurrence across the continent of Africa; historic conflict between ethnic groups has been a primary cause of wars in Europe; and ancient animosities flare up regularly in Asia. Is America worse? Jesus Christ predicted rising ethnic tensions at the time of the end of the age. In Matthew 24:7, He said: “nation will rise against nation.” The Greek word used for nation is ethnos, a reference to ethnic groups. Until a few decades ago, the lid was kept on much ethnic conflict by great powers that ruled over many ethnic groups. Increasingly, those groups have splintered and now are turning on each other. Perhaps we are about to find that diversity doesn’t work, that mistrust between the races is still very much a part of our culture and heritage, not just in the United States but elsewhere. 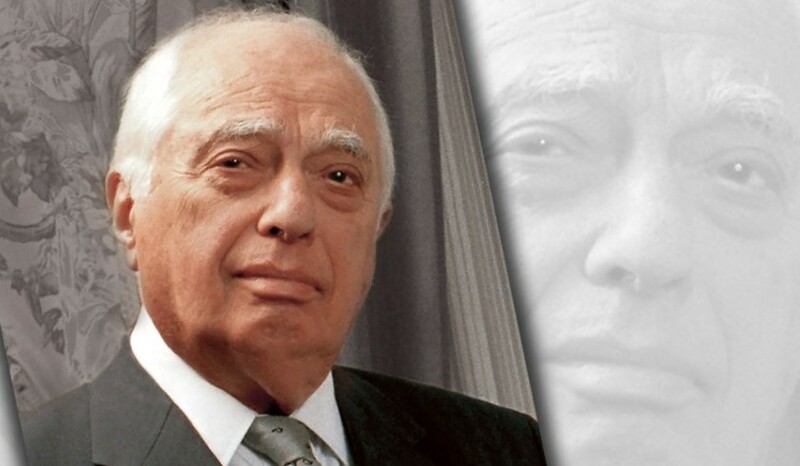 A serious rethink is needed on multiculturalism, as racial harmony cannot be achieved by legislation or coercion. There is a definite possibility that, as a consequence of Ferguson, more laws will be passed to force further integration, which could backfire. Social programs should also be re-evaluated. LBJ’s War on Poverty, proclaimed fifty years ago this year, offered hope to all poor families, including African-American ones, by setting up a welfare system. However, it is now possible to look back and see that welfare has contributed to the breakdown of the family, a social trend that has been particularly devastating for black families. Nine out of ten African-American boys do not live with their father to the age of 16. The lack of a significant male presence in their lives encourages criminal activity and is a reason why there is a disproportionate number of African-American males in the US prison system. 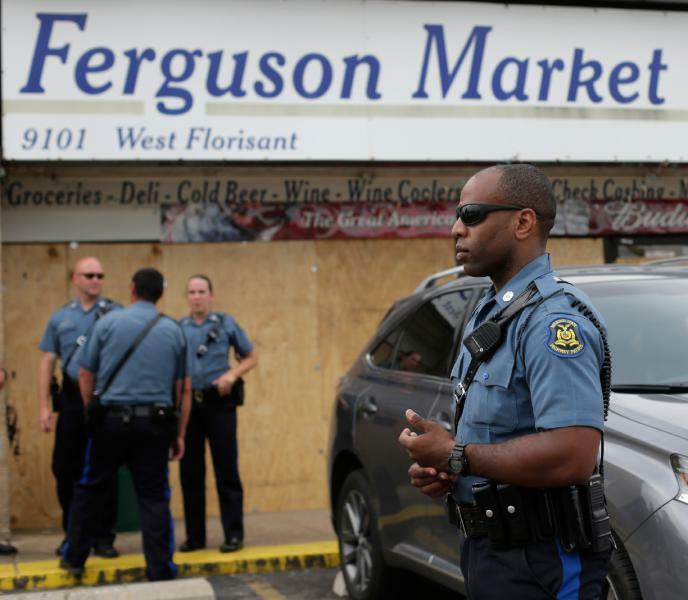 There will be more Fergusons. Sadly, more parents of young men, both black and white, will lose their loved ones in violent acts between the races. More riots will result in more lives lost and more property damage, though there is no sense in driving businesses away. Race remains America’s Achilles heel – ethnic conflict could bring the country down. But there are also many examples of whites and blacks working well together. Clearly, more work is needed to improve race relations. The alternative is growing conflict in the years to come.